Pacific’s industrial engine division provides a wide range of new MTU engines, remanufactured diesel and gas engines, and Allison Transmissions for many applications. Our expertise with industrial engines is unmatched. 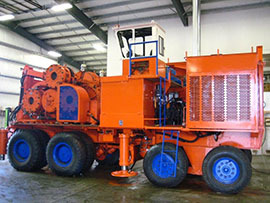 We operate one of North America’s largest diesel engine remanufacturing programs for OEMs, operators, dealers and fleets for applications such as construction, logging equipment, mining and utilities. 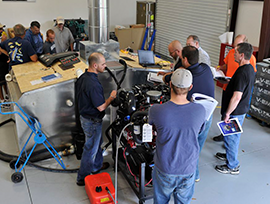 Our skilled team provides state-of-the-art industrial engine solutions that maximize performance and minimize downtime. With decades of expertise, our industrial engine team can specify and engineer a complete package to drive your business forward. Pacific provides premier industrial engine solutions that deliver superior operation, higher emissions and greater reliability, backed by our expert sales, service and engineering team.